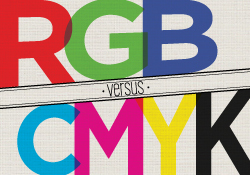 Do you know the difference between RGB and CMYK? These are two terms that pop up often in the world of graphic design and print. They are important to understand when turning a digital file into print, which is exactly what happens with an online printing company like PrintPlace.com. To understand exactly what we’re talking about, take a look at this week’s graphic design video where Chambley explains what you need to know about these two color modes. 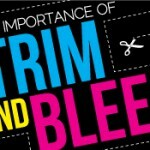 It’s Friday again and it’s time for another quick tip from PrintPlace.com. Today we’re going to talk about something incredibly important to print design; RGB versus CMYK. RGB and CMYK are color modes used in digital design. RGB, or Red, Green, and Blue, is the color of the light emitted from your computer screen. When mixed, these colors can produce a broad range of colors, millions actually, allowing for bright, intense hues. 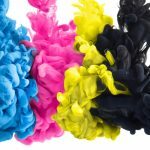 CMYK, or Cyan, Magenta, Yellow, and Black, has its origin in the world of printing. Cyan, magenta, yellow, and black inks are applied one after another on white paper to produce a full color image. 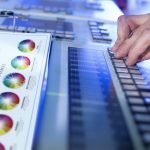 For this reason, it’s always best to design in CMYK color space, so your printed materials will match what you see on your computer screen. So, to put it simply…RGB is for web design and CMYK is for print. When you work in CMYK, you may notice a color shift between artwork or photos that were originally produced in RGB. This is because CMYK doesn’t have near the color range that RGB does. Most of the time, the shift is barely noticeable or not a big deal, but sometimes an intense blue or red will appear off or dull. If you feel the need to adjust these colors to better match their RGB counterparts, software such as Photoshop or Illustrator has great tools for fine-tuning colors. Unfortunately, because CMYK doesn’t have the same range as RGB, the colors will never exactly match. However, with some experimenting and tweaking you can get fairly close. That’s it for this week. Did you know we have a blog too? Every week we have fantastic articles on everything from graphic design to running a small business. Follow the link in the description to check it out. See you next Friday for more tips from PrintPlace.com.